What Are Kindness Rocks You Ask? What are kindness rocks you ask? 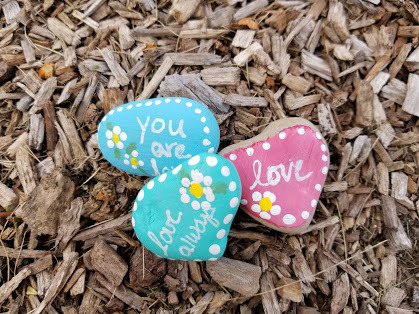 They are painted rocks with positive words and quotes that are random acts of kindness hidden throughout your community. I kept seeing posts on Facebook about these cute painted rocks with quotes and motivating words. 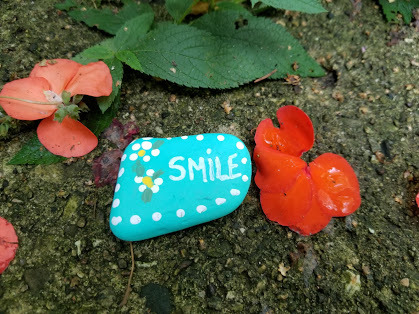 Kindness rocks kept popping up everywhere and each time I saw them I thought to myself…..what a wonderful idea to spread kindness and cheer during a time when this world is in need of some serious love. I have been walking the beach for years with my family and stumbling across a cute painted rock would honestly make my day. Here is an inspiring video on where the idea for kindness rocks was started. If you are lucky enough to live close to a beach you can collect rocks for free which is exactly what I did. For most of my adult life I have lived along the coast and experienced life by the ocean but for now I am brought back to my inland roots and live minutes away from Lake Michigan. During the summer we like to leave Illinois and cross the “cheddar curtain” to head straight for our favorite beach in Wisconsin. Not only is this beach peaceful and clean but it has a plentiful amount of sea glass and large, flat, smooth rocks which are perfect for making kindness rocks. This post contains affiliate links and you can see my full disclosure here. 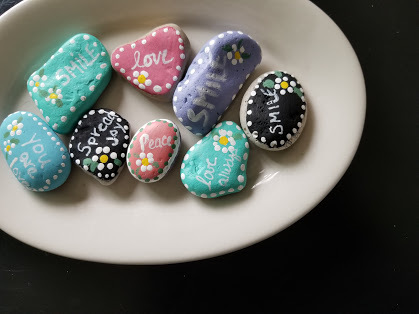 Painting kindness rocks is an easy and fun craft project that you can do with kids of almost any age. 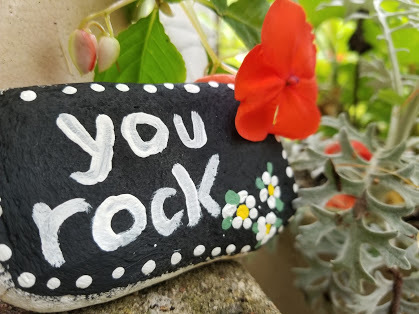 I like to have the younger kids paint the rocks in a variety of colors and the older kids can use the paint pens and sharpie markers to add a special word, quote or detailed drawing to the rock. Once everything is dried you cover the rocks with a clear coat of spray paint to seal them and keep them from chipping or running. Once you are done painting your rocks and they are completely dry, you get to go hide them throughout the community. 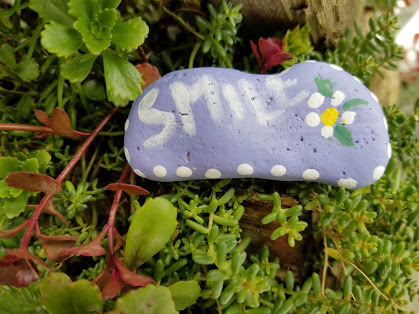 I think it is more fun and meaningful when you hide a rock in an inconspicuous place that will be a pleasant surprise when someone finds it but not too hidden that your rock will never get the chance to put a smile on someone face. 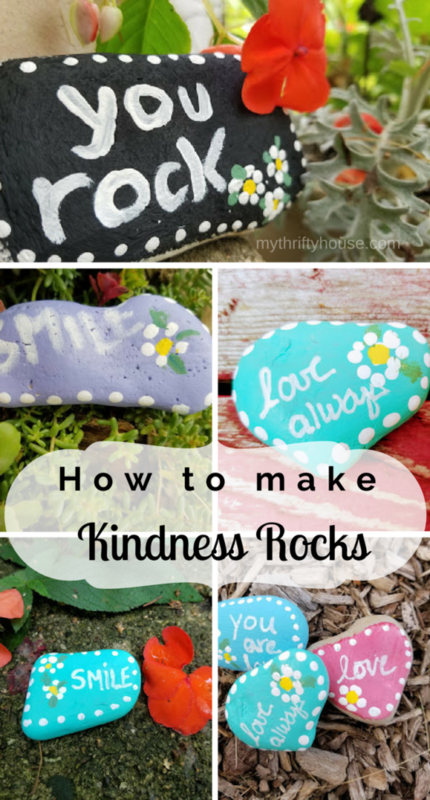 If you need ideas of how to decorate your kindness rocks you can take a peek at my Pinterest Board. I’ve also teamed up with some of my crafty friends for a craft challenge associated with painted rocks. You really need to hop around to their posts and catch a glimpse of their painted rock creativity. 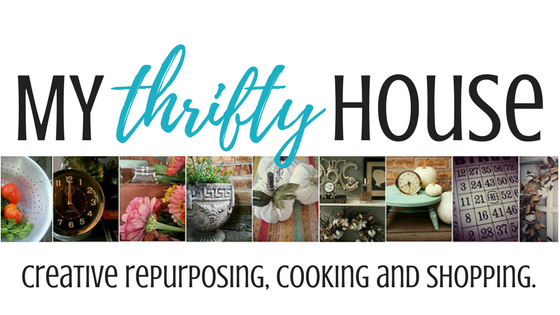 This entry was posted in Creative Craft Bloggers, DIY Projects. Denise, I love that you explained the new trend. We don’t have that in Germany just yet – maybe I’ll be starting it off, ha! I pinned this to several of my boards and group boards. This is the best idea EVER!! I will be joining you over here in Australia too!! Thank you for sharing such a wonderful idea! I absolutely love the kindness rock campaign. And these are so pretty!